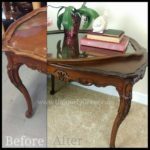 Saltwash and Chalk Paint Coastal Coffee Table Flip! Bonjour to all my lovely readers! Come with me today to the lovely coast of France as I share with you a french provincial coffee table project flipped into a coastal beauty. This sweet but neglected table was found in a local junk shop in my small town. It was worn and had clearly seen better days. I was introduced to Saltwash per The Fab Furniture Flippin’ Contest and knew immediately this was the piece I was going to use it on. 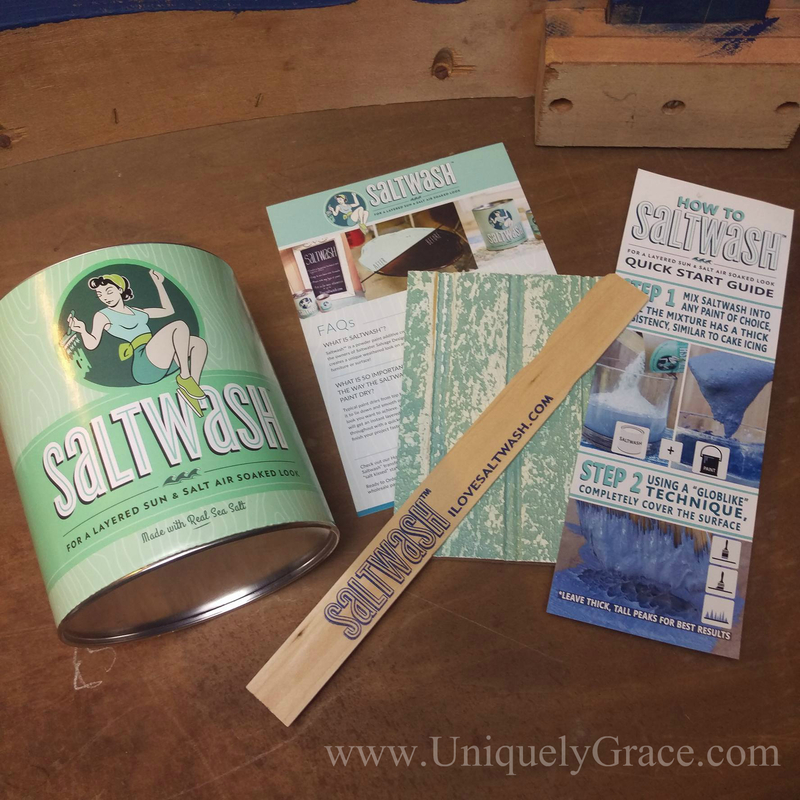 Saltwash is a texture additive that can be used in almost any paint. It comes in several sizes and can be used on just about anything including furniture, walls, metals and plastics. Today, I chose to use them with my acrylic-chalk paints. 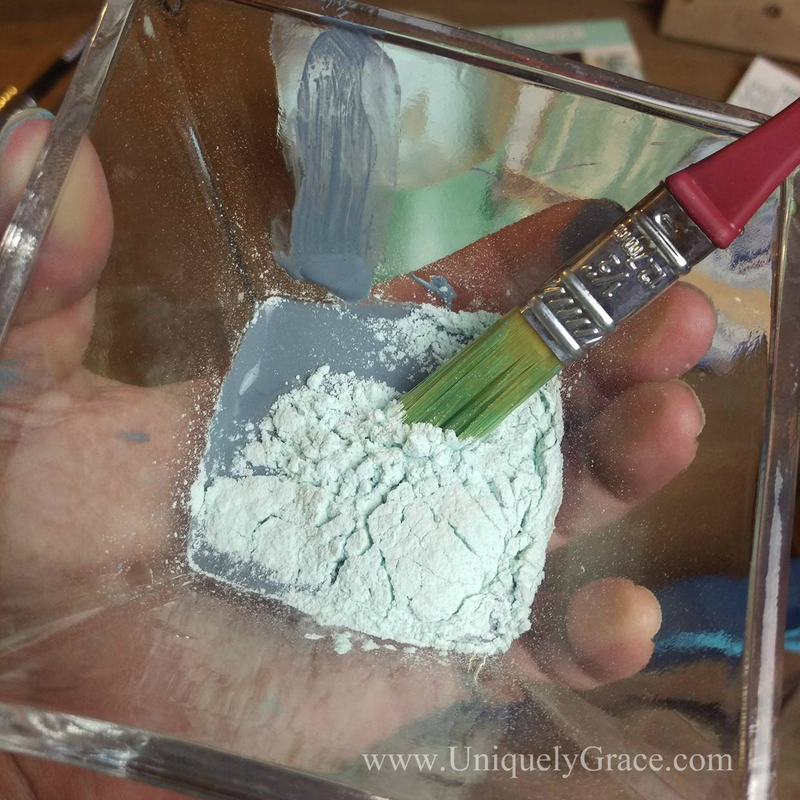 Once you mix the Saltwash powder into the paint you can create layers of color and texture. Once your main color is painted over you sand back over the texturing and exposing the wonderful colors underneath. On this piece I used aqua, light and dark grays and an off white with salt wash. Then I painted the dark blue over all that texture and lightly dry brushed the white on top. Once dry I sanded it all down and this stunning texture is the result. Saltwash creates a fantastic sun and salt air soaked look, creating a wonderfully beachy, weather worn and coastal look. For the top I did a simple white wash and a dry brush technique on in the coordinating gray. The edging is done in white with some light distressing. As always it is an honor to be a part of The Fab Furniture Flippin’ Contest community on Facebook as well as a contestant this month with Saltwash as our sponsor. 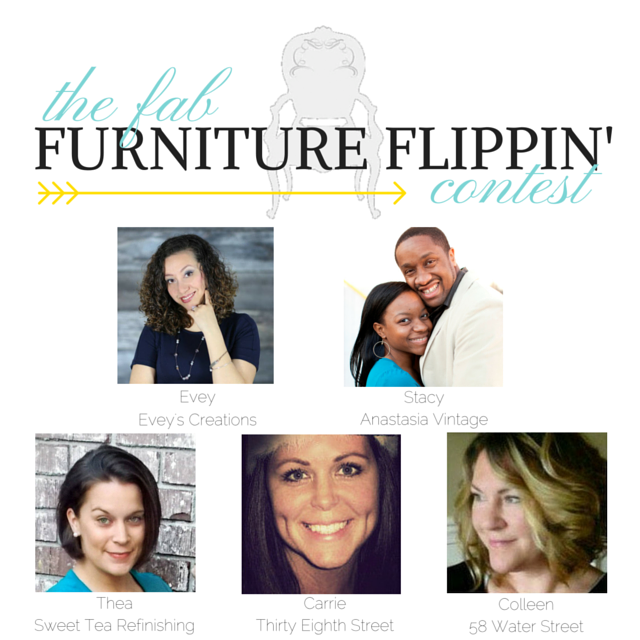 If you want more info about the The Fab Furniture Flippin’ Contest please take a moment to check out the hostesses posts as well as the email below to join. if you are interested in participating in future contests.